Land Rover Nepal | Land Rover SUV Car Price in Nepal | Kishore Gears Pvt. 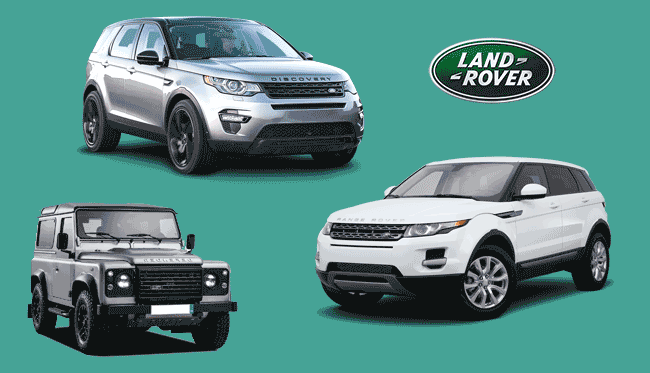 Ltd.
Land Rover SUVs or cars in Nepal are distributed by Kishore Gears Pvt. Ltd. Land Rover is a popular SUV brand, manufactured by Jaguar Land Rover company. This company is subsidiary of Tata Motors. However, unlike other typical distributors, Kishore Gears doesn’t fix the price rate for these Land Rover SUVs upfront. Rather, it is negotiated and finalized at the time of purchase. Since stocking of these vehicles are expensive, they are directly imported as the order is placed. These Land Rovers are highly customizable and therefore, their prices vary accordingly. Talking about Land Rover as global brand, it specializes in four-wheel drive SUV vehicles. It is manufactured by British Multinational Company i.e. Jaguar Land Rover. Once owned by Ford Motor Company, it is now subsidiary of Tata Motors since 2008. Influenced by design of Jeep at its inception, it evolved as high class SUV in its segment year upon year. The popular models of Land Rover include Discovery, Discovery Sports, Range Rover (Evoque, Velar, Vogue, etc.) which are of premium nature. In Nepal, you can buy all of these models with the specifications of your choice. However, you can’t get the price upfront for these models of Land Rover. Rather, company gives you the quote once you give them your specific choice of Land Rover vehicle.